Green politics is a neo-political ideology that started in the early 1970s when people began to realize the damage human activities have caused and continue to cause to the environment. Also called ecopolitics, green politics aims at creating a world that is ecologically sustainable. Green politics is now common in most parts of the world including West Africa. There are green parties in countries like Nigeria, Benin, Burkina Faso, Senegal, to mention just a few. Being a phenomenon that started less than 50 years ago, it is only just taking deep roots. One of the features of green politics is that its advocates are generally concerned about the environment and how it can be protected. They are concerned about how the changes in the environment affect humans, animals, plants and abiotic elements of the ecosystem. 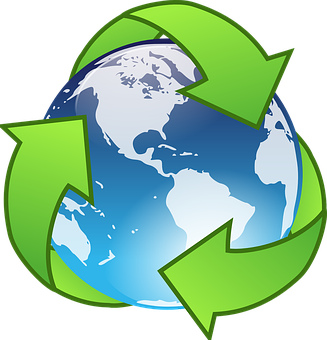 Green politics believes that environmental practices must be geared toward the preservation of those parts of the environment that are still intact and undisturbed, engaging in measures that can restore those parts that have already been destroyed and anything that get it as near the Adamic state as possible. Green politics believes in the use of non-violent means to achieve their laudable aims. Green parties all over the world resort to peaceful methods in the pursuit of their goals. Green politicians are willing to jaw-jaw instead of to war-war regardless of whether it is civil resistance or any other form of resistance, in other words, they use only the non-violent option. As a consequence of the choice of non-violence, green politics tries to be harmless to itself and to others in every situation. This includes being non-violent toward the environment and everything it entails. Another feature of green politics is the belief in social justice. They believe that the world must be a place where individuals in the society are treated in a fair, just and equitable manner. For example, every human-being and animal breath in oxygen to survive and every green leaf serve as a carbon sink absorbing the carbon-dioxide human beings exhale and other harmful gasses industrialization pumps into the atmosphere. If the world can live environmentally comfortable and still maintain the integrity of the environment, then there is equity. Green politics believes in equity, fairness and justice. They are very concerned about the plight of the vulnerable in the society. Green politics makes use of grassroots organization. They believe that as much as possible, political decision-making must devolve to the grassroots. In other words, political decision must be at the lowest level of the national organizational ladder. A green party, for example, would prefer to leave decision-making to local chapters than concentrate powers at the headquarters. This is unlike the representative system where somebody is elected to go and represent others and take decisions on behalf of those who voted him/her into office. In addition to the four major characteristics of green politics, green politics tried to de-emphasize what society has come to accept as success. All along, society has been led to believe in the doctrine that to be seen to be successful, one must accumulate enough wealth to be able to acquire the best things of modern lifestyle. Green politics is advocating a new era of what is really valuable. Green politics sees real wealth in the natural resources of a country, such as clean air, good rainfall patterns, solar energy and the biodiversity of the planet. They believe that wealth as pointed out earlier must be available to all so that the economic security of all and sundry can be ensured. A green party policy on transport, for example, focuses on discouraging ownership of personal cars and encouraging the creation and use of public transportation. The idea here is to produce less and less exhaust fumes to make air cleaner for all, provide an equitable transport for all. The less the vehicular movement, the less traffic noise will be generated and the less stress citizens experience from traffic noise. The quality of sleep will definitely improve. 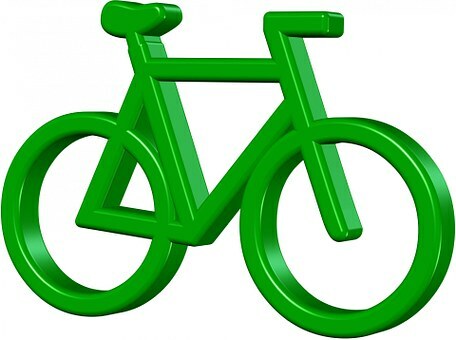 A green party will aim at improving safety of the roads and encourage citizens to take to cycling. Consequently, cycling will increase exercise thereby leading to reduction in obesity and control of negative cardiovascular conditions of the people. With just one polity in one ministry, green politics can affect many other ministries. with one policy, there is fairness, equity and justice for everybody. 1. a. What a green political party? b. Discuss five features of green politics.